Forest Essentials tag line itself says, “Luxurious Ayurveda” so, how can their products be anything but that. The products appearance and packaging is so superb that it makes us swoon in anticipation of the actual product. 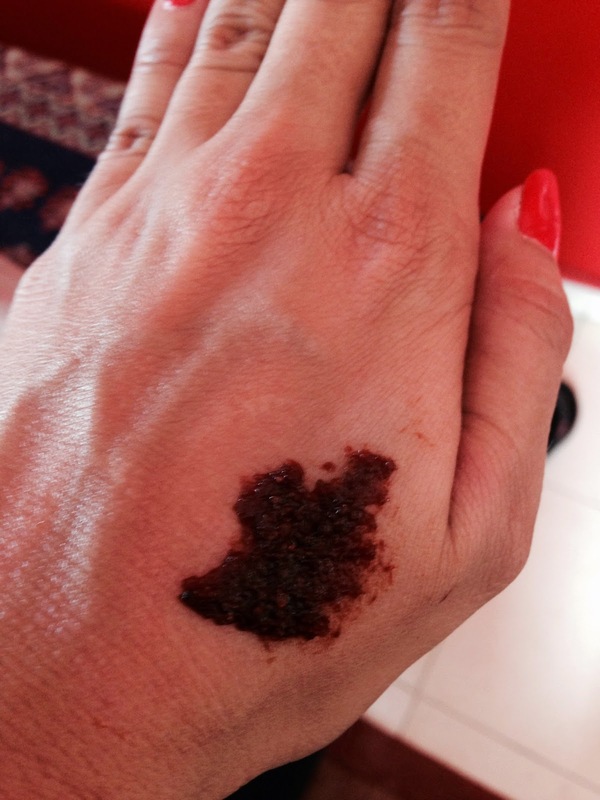 I have been a die-hard fan of their Kashmiri Walnut Scrub and would blindly buy that everytime, till a friend suggested to try their Hand Pounded Organic Fruit Scrub. Well, I wasn’t disappointed. 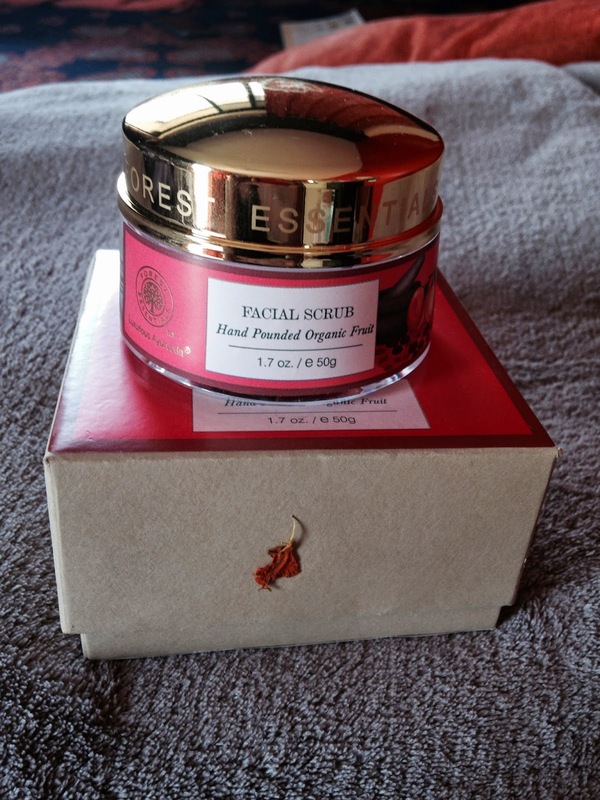 Texture – The scrub has a smooth no granule consistency so works well on my sensitive skin. Easy to apply as it is in the form of a thick paste and one can scrub even a little harder to exfoliate well. Key Ingredients – The word fruit itself appealed to me when i went to the store to buy it online. A mix of peaches, walnut, apricot and dates the scrub is rich in fruits and herbs. It also contains glycerin which is a natural moisturizer and keeps the skin soft and supple. It also has Vitamin E oil which is a natural anti-oxidant and protects the skin from Ultra Violet rays. Quantity & Pricing – The scrub’s quantity is 50 grams and it can easily last you for a month even if you use it daily. You need to use very little for a superior effect, thus it lasts really long. The Fruit scrub is priced at 1450/- INR which is great value for money. The scrub is enriching and invigorating. It exfoliates well and keeps you looking and feeling fresh all day. Next Post Gals Night Out!! 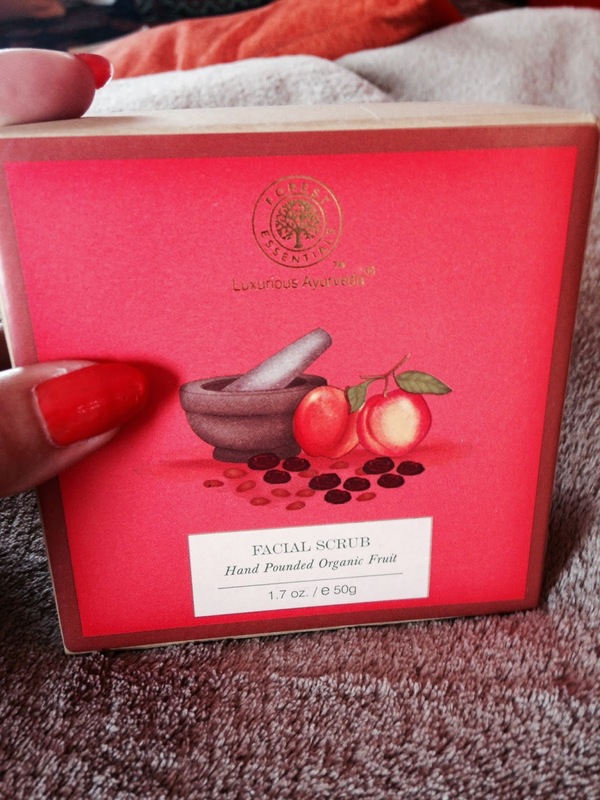 Old Post – Review of hand pounded organic face scrub.